This year’s 9th edition of Vinitaly Hong Kong 2018 promises to be enticing for both visitors and buyers alike. Organized by Veronafiere and Vinitaly International, the preparations are being finalized for their Hong Kong exposition at the International Wine & Spirits Fair, held from November 8th to 10th 2018 at the Hong Kong Convention and Exhibition Centre. We have been present in the Asian markets of Hong Kong, China and Singapore since the late nineties, and we have been taking part in Vinitaly Hong Kong annually since 2010. Vinitaly is an important event for us since it is only open to operators in the sector, where you have access to competent and prepared interlocutors. Also the organization of Vinitaly International is, with all sincerity and honesty, constantly improving year by year, providing the companies’ involved with support. In recent years we have had the opportunity to find importers with whom to enter into sales contracts; equally important, we have consolidated our partnerships with importers through our constant presence at Vinitaly Hong Kong thanks to Vinitaly International. All this, from 2010 to present day, has led to a significant increase in turnover in the Asian market. 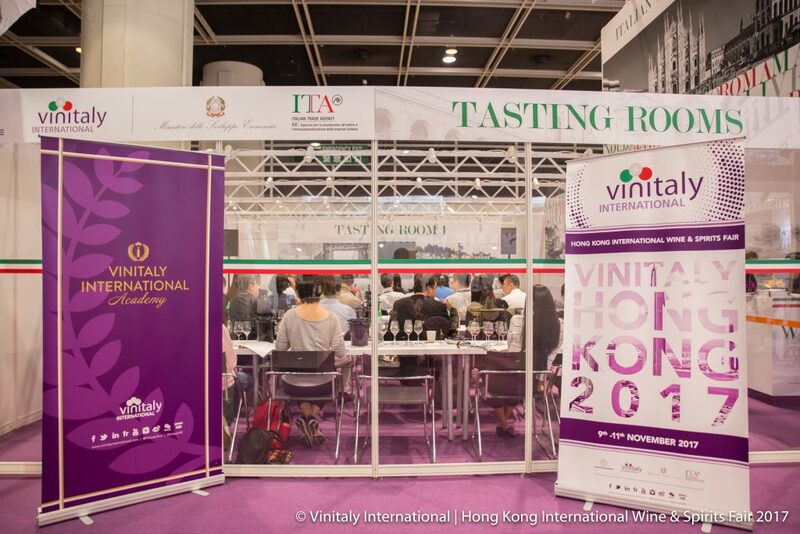 This year’s Hong Kong wine fair has designated 850 square meters to Vinitaly International for its growing wine lineup. Vinitaly International is preparing to showcase a fantastic selection of wine in anticipation of buyers arriving from Hong Kong, as well as from mainland China and South East Asia. The ambition is to exceed the number of visitors received at last year’s event, which saw attendance at over 20,000 people. This year approximately 100 Italian wineries from every region of Italy will be taking part in the exhibition, offering 12 tastings. Seven wine consortiums and associations will be in attendance, collectively representing over 50 wineries. Some of these partners attending this year include: the consortiums Consorzio di Tutela dei Vini d’Abruzzo, Enoteca Regionale Emilia Romagna, Consortium Alto Adige Wines, Piemonte Land of Perfection, and the media group Wine Meridian. Eager to bring their unique expertise to the international stage, these associations will be offering special exhibits at the Vinitaly International Hong Kong fair. This is already the fourth edition of the ‘Hong Kong International Wine & Spirits Fair’ that we will participating in. South Tyrol is still new to Hong Kong and China. Participation in this fair is an excellent opportunity to promote and increase the notoriety of our products in this rapidly expanding market. Vinitaly International hopes to foster a compelling B2B exchange by going beyond the formal components of an exposition, namely, the exhibiting and organizing of B2B meetings with our exhibitors. With the support of the Hong Kong Trade & Development Council (HKTDC), the area will also offer guests the opportunity to attend masterclasses that are to be held in the tasting rooms. A lounge will also be made available, where participants will be able to taste wines from the 5StarWines – the Book selection, while also having the option to sample some traditional foods offered by Vinitaly’s partners. The lounge events and masterclasses are organized thanks to the support of ICE – Italian Trade Agency. The cornerstone of Vinitaly Hong Kong is wine education. The redesigned Vinitaly International Academy (VIA) Italian Wine Ambassador certification course will be held immediately prior to the fair, from the 4th to the 8th of November. The ribbon cutting ceremony, marking the opening of the Vinitaly International Hong Kong fair, will coincide with the first graduation ceremony marking the completion of VIA’s first Hong Kong Italian Wine Ambassador Certification Course. Subsequently, VIA will be holding one of the Grand Tasting Sessions featured in this year’s official Vinitaly Hong Kong program. VIA’s Executive Wine Seminar will be led by the newly appointed faculty members Sarah Heller MW and Henry Davar IWE. 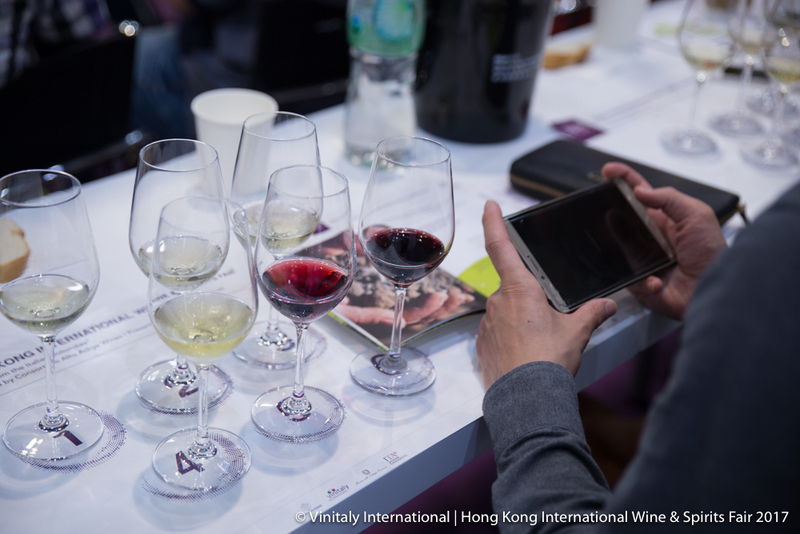 The symbiotic relationship for VIA and Vinitaly International Hong Kong will continue and deliver concrete results this year, as Asia’s fast expanding wine market is considered hugely important and taking advantage of its potential is key. The event details can be followed on the Vinitaly International website and on social media.